THE ANTHROPOLOGY OF CHILDHOOD – David F. Lancy (2014) | Weighing a pig doesn't fatten it. I bought David Lancy’s The Anthropology Of Childhood: Cherubs, Chattel, Changelings a few weeks after I learned I would become a father. It has been lying around for about two years, and as my daughter is starting to say the words ‘yes’ and ‘no’, now felt like the right time to start it. Verbally expressing preferences is a big deal on the road to personhood. Lancy is a Emeritus Professor of Anthropology at Utah State University, who wrote and edited several books on childhood and culture, starting his own research in the 1970ies. This book feels like a summary of the entire field, and can be considered Lancy’s crowning achievement. He draws on his own research here and there, but the bulk of this book is based on Lancy’s reading of countless other sources, giving it a vast scope. I read the 2nd edition, which adds over 750 new sources to the first edition that appeared in 2008. 750 extra sources: that should be an indication of this book’s thoroughness. There’s 104 pages of bibliography, plus a 6-page author index, a 5-page topic index and a 7-page society index – all small print. The text itself is 410 pages long, riddled with quotes from other studies. Its thoroughness is the only critique I can muster, as sometimes this book is very detailed, chock-full of examples from across the globe. Mind you, it might be detailed, but it’s always readable, also for those not initiated in anthropology – this could easily serve as an introductory textbook. Lancy does a great job explaining everything, and each chapter can stand on its own. As a result, there is some repetition and overlap. These minor issues are easily remedied by the reader: if some part is of less interest to you, or if you already get the gist, skimming parts of a chapter is no problem. Lancy does a fantastic job structuring: his chapters and subchapters follow a logical trajectory, with good introductions and summaries, and also the paragraphs are structured clearly and consistently. It truly is topnotch academic writing. This allows you to skim a part in confidence, without the fear you might miss something you don’t want to miss. But all that is mainly form. What about the content? The book deals with childhood more or less chronologically: starting with how different cultures treat pregnancy and childbirth, moving on to how children are valued across different societies, to how they are raised and socialized, child’s play and morals, children’s participation in work and society, a chapter on the concept and practices of schooling, and the transition to adulthood. All these topics are treated extensively, and where there is data Lancy also discusses historical evolutions – he doesn’t limit himself to the contemporary ethnographic record, although that is the book’s focus. There’s also a few references to other primate cultures. I learned a lot. The book’s main thesis is how much of an exception the Western way of raising children is. Most societies are what Lancy calls ‘gerontocracies’: they value elders and adults (and ancestors) over children. Mainstream Western society is a ‘neontocracy’: children are valued above all else. This concept has only emerged fairly recently. Lancy mentions the so-called “orphan trains” that carried about 200.000 children from orphanages and foundling homes from American eastern cities to families in the Midwest, to increase the labor supply. Practices such as that clearly indicate children were considered more as ‘chattel’ than as ‘cherubs’, and these trains continued until 1929. The neontocracy started in the Victorian age for the wealthy, and only after the Second World War for the rest of WEIRD – Western, Educated, Industrialized, Rich and Democratic – society. There’s quite a lot of other eye-opening insights in the book, and that’s partly due to Lancy’s avoidance of a moralistic stance. It’s refreshing to read about sensitive topics as gender, abortion, infanticide and neglect in a descriptive way, instead of the usual prescriptive mode of our dominant cultural discourse. Lancy manages to convincingly show time and time again the truth of Bertold Brecht’s dictum: Erst kommt das Fressen, und dann kommt die Moral. Societies wherein 50% of children die before they reach their 15th year obviously approach certain moral problems differently than a society where food and medicine is readily available. Geography is extremely important as well: certain landscapes demand different kinds of labor or foraging than others, and this has an impact on gender roles, marriage practices, sexual mores, etc. Lancy does a great job describing the myriad different ways in which human societies have developed. There’s a ton of different – often contradicting – practices. Cultural differences might lead to a hierarchy: what is best? Lancy again avoids ranking one practice above another, but does not hide the fact that he is not a fan the Western model that seems to lead more and more to excess: helicopter mothers, children who don’t help around the house anymore, rampant consumerism, and so on. These excesses have led to more narcissistic and egocentric individuals with less mental stamina. At the same time, Lancy also shows that the noble savage trope is ill-informed just as well. In the course of the book multiple examples show how certain tribes or other societal forms manifestly have evolved practices that are harmful for pregnant women, babies or children – yet these societies often think said practices are beneficial. For instance, not all human societies already understand the link between malnutrition and sickness, and as a result sick children don’t get the calories they need to get better, as it’s considered a risky investment (and to their folk medicine also unnecessary) to give them more food, should the child die a few days or weeks later. Lancy also manages to explain so much of the upheaval in Africa, as Western influence transformed societies, resulting in too much young males that do not fit in – militias and violence being the result. Contrary to what one might think, schooling generally doesn’t help (and even makes things worse), as a lot of schools around the world do not teach things that are of much use in village life. Modern economic forces have created two very different kinds of adolescence. We’ve just been reviewing the fate of individuals who, as a result of economic insecurity, seem not to be able to exit adolescence and cross the threshold into community-supported family formation. In the concluding section, we will consider individuals who must remain in adolescence to take advantage of economic opportunities that are only available to the well-educated. The book is full of broad analysis, but there’s quite a lot of anecdotal wisdom to be found too, like the fact that in egalitarian societies (e.g. forest foraging tribes), there is no winning in play, or that mother-infant play was advised against in the USA before 1940. What maybe struck me most was the fact that we tend to overvalue verbal instruction. In most societies children learn by observation, not because they are taught. This is even true for the acquisition of language: in the majority of societies, parents don’t really speak to their children before they are 7 or 8. Lancy admits that in our own, highly complex, society schooling obviously is necessary, as it also changes cognition in a fundamental way – it gives rise to analytical thinking. Obviously a review as this cannot do the full content of this book justice. Suffice to say The Anthropology Of Childhood is highly recommended. I would even call it mandatory reading for those teachers and pedagogues and parents who want to examine their own biases. It’s a feast for everybody that enjoys a broad view on what it means to be human. Here’s a link to my other non-fiction book reviews, and here’s a link to my list of favorite non-fiction books. 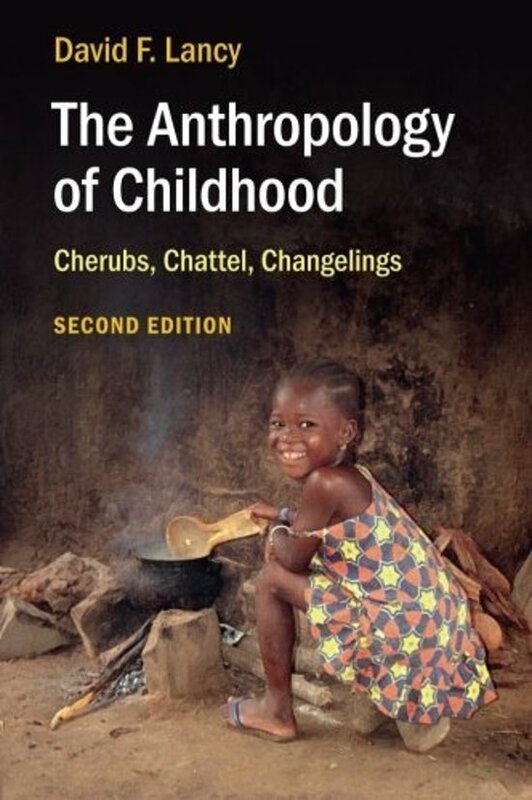 This entry was posted in Reviews and tagged 2010s, Anthropology, childhood, David F. Lancy, Non-fiction, Pedagogy, Review, Sociology, The Anthropology Of Childhood. Bookmark the permalink. I like a study that in its overview tries to give a balanced view, raising issues and encouraging the reader to consider and weigh the evidence, but also isn’t afraid to offer some value judgements. I wonder if Lancy also considers the biological imperatives that might influence cultural attitudes to children, things like the the propagation and perpetuation of the species as well as varied approaches to rearing of offspring in other species. Yes he does, but biology is not the focus. There’s multiple mentions of the typical spread the genes theories (propagation as you say), but also, stuff that was less know to me, like studies about how much calories children (or men, or women) bring in with their work, compared to what they consume. As for other species, he sticks to primates, he doesn’t mention practices from other animals. Pingback: FAVORITE NON-FICTION BOOKS | Weighing a pig doesn't fatten it.